It's no wonder this turn key rental investment has such consistent income. Only a handful of homes possess the ocean and sound views you will find in this fabulous 5 bedroom beach getaway. 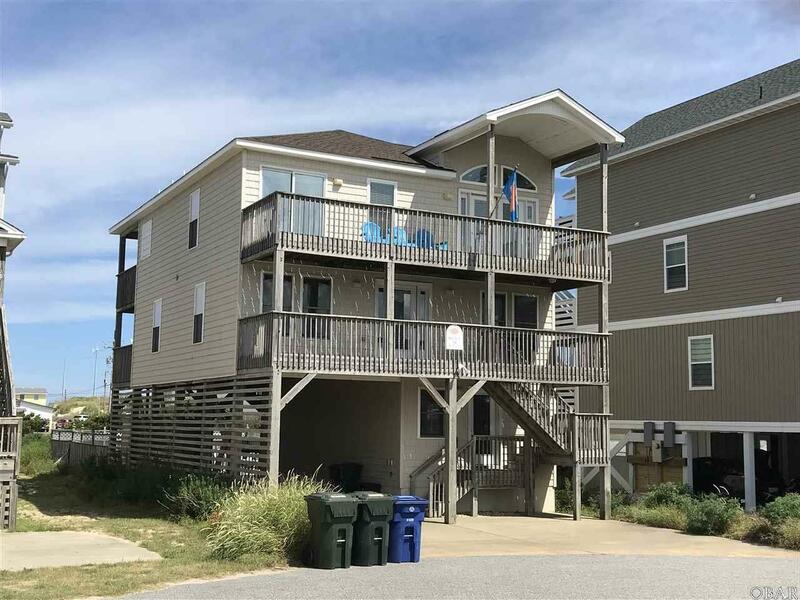 Only two lots back from the oceanfront, its an easy walk to the beach, Jeannettes Pier, ice cream, dining and Tangier Outlets. Minutes from Oregon Inlet Fishing Center, Jockeys Ridge State Park and Historic Downtown Manteo. However, the hot tub and private in ground pool could make you not want to go anywhere. The ground level also offers a game room, half bath, laundry and there is a spacious outdoor shower. The middle level is well laid out with shared deck space. Two bedrooms share a jack and Jill bath. There is a guest master bedroom, a fourth bedroom and hall bath. The main floor master offers a jetted tub and shower and private access to the sound facing deck. Romantic sunset, anyone? The best space in the house is the open great room, with vaulted ceilings and gas fireplace, sound and ocean views and access to one of two decks that overlook the pool. Live your dream vacation in your very own treasured beach house.